Typebarhead: Welcome to my first typecast! Welcome to my first typecast! Welcome to the typosphere. Looks like you are having fun with blogger layouts! Thanks! Actually I find the layouts in blogger confusing. I can't get it to do what I want. Hopefully with time, I'll figure it out. Hello, I'm a self-proclaimed typebarhead. What is a typebarhead you ask? A good question considering I spontaneously made up the moniker for this blog. 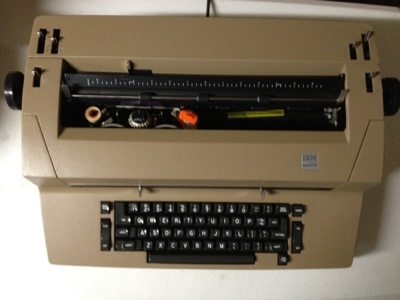 It's like what deadheads were to the Grateful Dead, typebarheads are to typewriters! Loyal fanatical fans. : ) Still very new to this blogging thing, so we'll see how far I can go with it. Spooky Typewriter Thoughts: I'm A Daydream Believer!